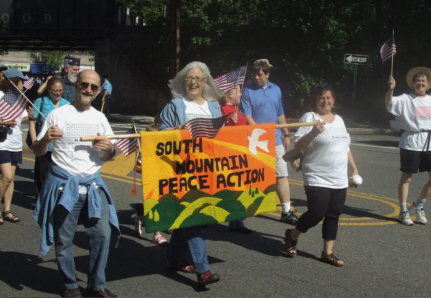 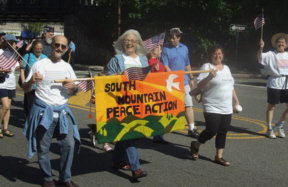 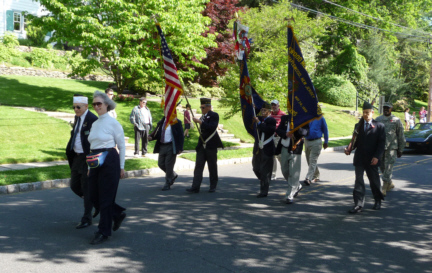 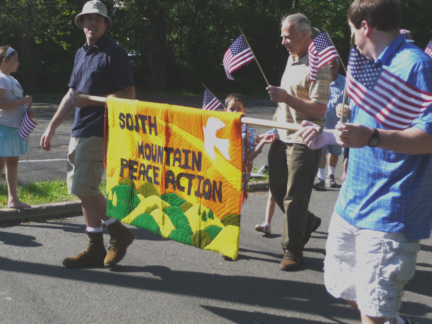 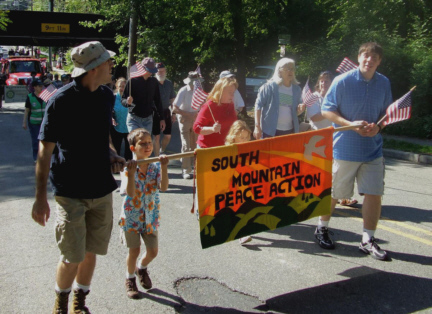 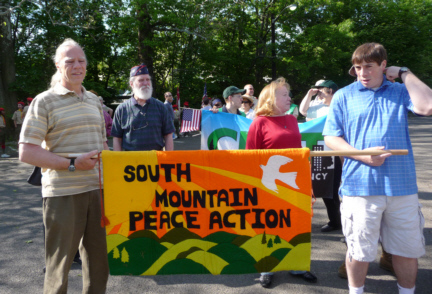 The South Mountain Peace Action contingent marching in the Maplewood Memorial Day Parade on May 26, 2008. 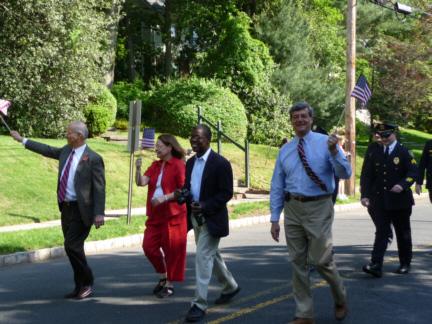 Mayor Ken Pettis and Vice Mayor Vic De Luca. 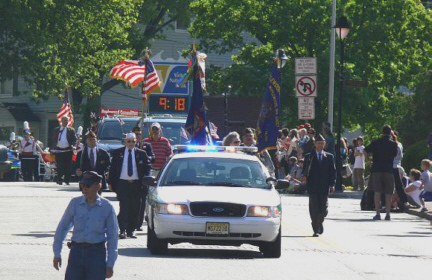 with veterans' honor guard on the right.